The Chiltern Line was closed for engineering works between Bicester North and High Wycombe on Sunday 30 April 2006. 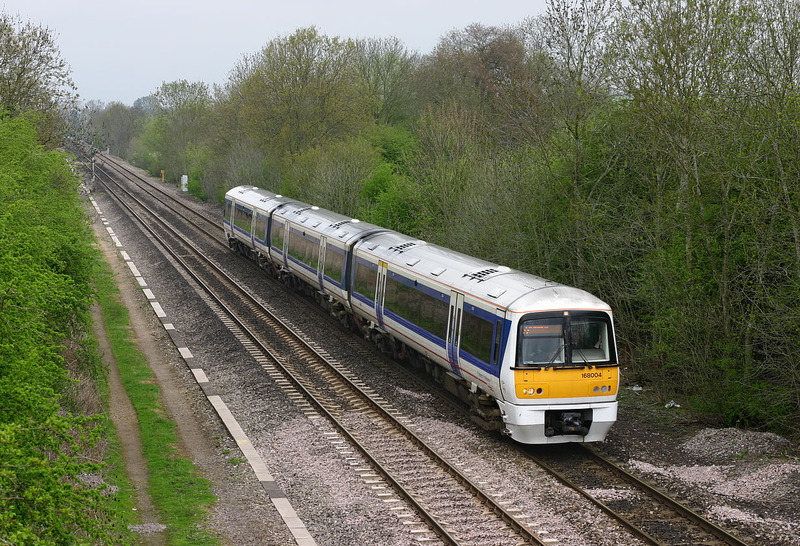 This resulted in a number of Chiltern Railways Class 168s working down the Cherwell Valley route to connect with First Great Western services at Oxford. Here we see 168004 passing Thrupp with the 1V35 11:10 Birmingham Snow Hill to Oxford service.